Food Stall: Other stalls in market sell food meant to be taken home and cooked. Here we see sausage ready for grilling, fermented fish, ready for frying, and lots more. 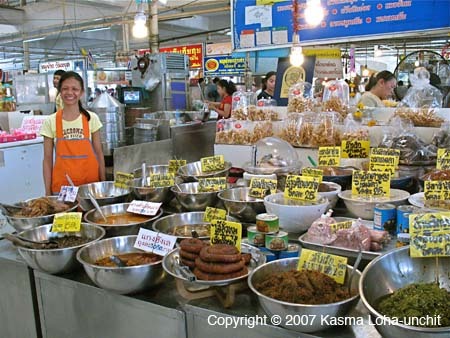 This is taken at Aw Taw Kaw market in Bangkok.